It can be challenging to eat healthy when you’ve got a cold. Everyone gets sick occasionally but there’s something you can do to speed up your recovery process. Besides taking plenty of rest and drinking your fluids, incorporating certain foods into your diet can help prevent your cold from becoming a worse. I’d pick a runny nose for a few days over being down and bedridden anytime. 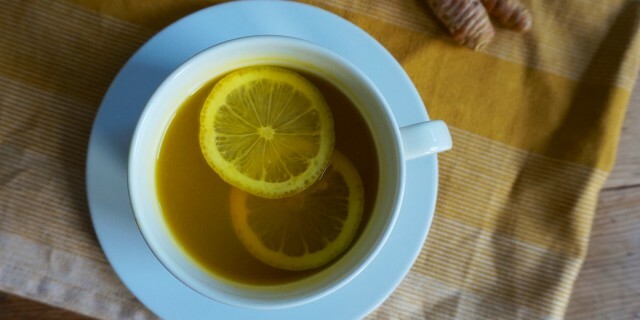 Here’s my top five recipes to beat a cold. Miso contains probiotics, healthy bacteria that aid digestive health. Your digestive system plays a key role in dictating whether you get sick or not. Over 70% of our immune system is located in our digestive tract. Giving your digestive tract a healthy boost can help you recover more quickly. Another great option is Vietnamese pho soup.The clean and clear broth is warming, soothing and healing. Enjoy it with a little hoisin and sriracha. It will make you feel better instantly. You can find a great recipe here. If you live in Amsterdam, this where I get my pho. This Anti-Flu Juice with turmeric, ginger, red chili pepper and sweet potato. Sweet potato, oranges, chili and lemons are loaded with Vitamin C. Vitamin C-rich foods help fight off infections and reduce the severity of cold symptoms. Chili peppers contain a substance called capsaicin, which helps fight inflammations, and like ginger, also works as a natural pain killer. Chili is also a good source of Vitamin C and beta-carotene, which the body changes into vitamin A. Carrots and sweet potato are rich in beta-carotene. Vitamin A (converted from beta-carotene) is often called the anti-infection vitamin. It plays an important role in preventing colds, flu and other respiratory illnesses. Vitamin A is essential for healthy mucous membranes, which line the nasal passages, lungs, intestinal tract and urinary tract and serve as a defence against bacterial and viral invaders. Honey-Turmeric Paste is very effective natural cough medicine. According to Dr. John Douilliard, a well-know Ayurvedic practictioner, turmeric is much more than a cough remedy; it’s one of the most effective cold-fighting herbs. Turmeric improves intestinal flora and helps the body to eliminate infections and excess mucus from the upper and lower respiratory system. Douilliard recommends making a paste with equal parts raw honey (preferably local) and turmeric paste. Eat a teaspoon every 1 or 2 hours. You can find another great natural cough remedy here. This spicy and super-charged Lemon Honey Ginger Turmeric Tea can help you to stop a cold in its tracks and to speed up your recovery. This is my go-to recipe when I feel a cold coming on. It uses ingredients like honey, cinnamon and ginger that have been used for centuries to cure the common cold. They have a warming effect on the body and are literally able to knock out a cold. Both ginger and turmeric have potent antioxidant, antiviral, antibacterial, antifungal, and anti-inflammatory properties. They help help protect your body from free radical damage and provide immune system support. Ginger is also a natural pain-killer and when combined with honey, a mild antiseptic, it can soothe a sore throat. Cinnamon is another powerful spice which can help cure a cold naturally and quickly. It also has strong antibacterial, antiviral, and antifungal properties. Black pepper may seem like a very common spice but it boasts impressive antioxidant and antibacterial effects. Due to its antibacterial properties, black pepper is a very effective natural remedy to relieve the symptoms of a cold. It helps loosen phlegm and relieve a stuffy nose, so you are able to breathe easier. Find the recipe for homemade Lemon Honey Turmeric Ginger Tea here. Khichadi is a simple, porridge-like blend of beans (yellow split beans) and rice cooked with spices like ginger and turmeric. It is very easy to digest, so easy in fact that it’s even served to babies in India. The best part is that khichadi heals and soothes your intestinal wall. A healthy gut influences your immune system. It even dictates how fast you recover when you become sick. When you become sick, your metabolism speeds up (digestion, circulation, temperature regulation etc.) to fight off the illness. By expending less energy on digestion, your body can do a better job at fighting off the bacteria and viruses in your body. Read more about khichadi here. This Red Lentil Coconut Soup contains similar ingredients. It’s warming and easy to digest, just what you need when your body needs to give its undivided attention to fighting off the germs. I hope you enjoy my cold-fighting recipes! Get well soon.